Grammy-winning songwriter Rodney Crowell has announced the July 13 release of his new album, ACOUSTIC CLASSICS, the debut entry from his newly-launched imprint, RC1. 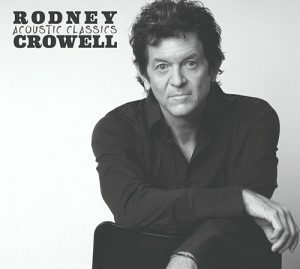 Exclusive pre-order bundles featuring the new cd and vinyl can be found on Crowell’s website, www.rodneycrowell.com/merch. The acclaimed songwriter, musician, author and poet is adding yet another title to his already esteemed pedigree; label head. 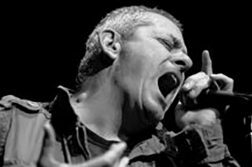 As prolific today, as he was in his twenties, Crowell has released six albums in the last ten years. Next on deck is a re-distilled, acoustic presentation of 12 masterfully-crafted tunes from his 40-plus-year career in a truly intimate setting. Marking Crowell’s 19th solo effort and the first release from his new label, RC1, the project features songs originally made famous by the likes of Emmylou Harris, Waylon Jennings, The Oak Ridge Boys, Bob Seger, Tim McGraw and more. The album has a distinctly live-recorded feel, a project described by revered music journalist Peter Cooper as a “most unusual of retrospectives.” “These are songs he wants to sing and play, performed as he wants to sing and play them,” Cooper writes.